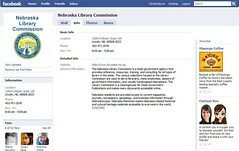 A brief tour of the Social Web services being used by and experimented with at the Nebraska Library Commission. The NCompass blog is the centerpiece of our Social Web presence. On it we share Commission news, news of issues relevant to our users both in Nebraska and beyond, photos from and of Nebraska libraries, and announcements of new podcast episodes, among many other things. Through the use of RSS, our users can easily subscribe to the blog and receive all of the postings quickly and efficiently. The Commission has a Facebook page for users to learn more about us. 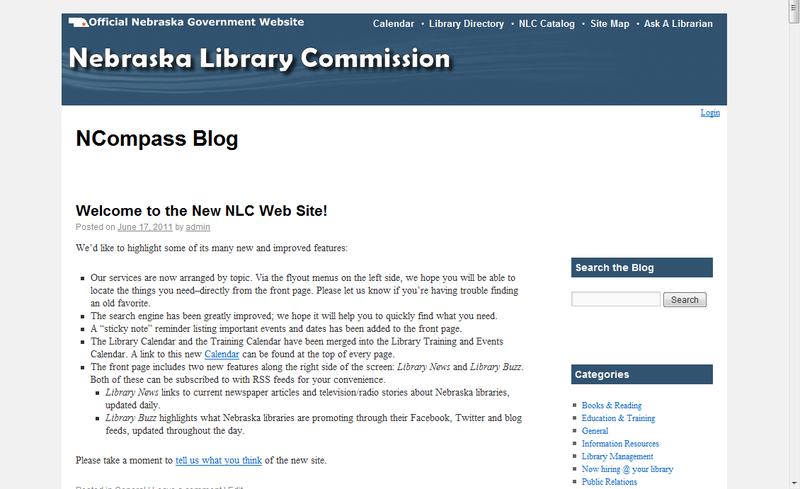 In addition, we have pages for the Nebraska Librarians Learning Together project (posts and updates reflecting Nebraska librarians' and students' efforts to network and discuss library-related topics,) and NCompass Live (our weekly webinar). We also have pages dedicated to Nebraska writers and stories—see Nebraska Center for the Book, One Book One Nebraska, and the Nebraska Book Festival. Google+ is Google's entry in the the Social Networking world and it intended to be a hub for many of Google services related to having a Google account. Most specifically, to comment on a YouTube video, you must first have a Google+ account. Google+ also differs from many other social networks with their concept of "circles"; the ability to sort your followers into different groups, and then share content only with the groups of your choosing. SlideShare allows us to upload our PowerPoint presentations to a central location from which our customers can then link to our presentations. Although this can be done by uploading them to our own server (which we also do for archiving purposes), with SlideShare users can also view our presentations on the site, embed them into their sites, leave comments, and subscribe to our presentations. 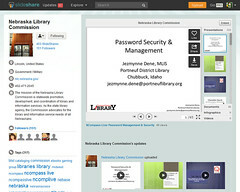 SlideShare also supports tagging and contacts within the system. Think of it as a YouTube or Flickr for PowerPoint. To print a copy of a slideshow you'll first need to download it to your computer which we allow, though other's don't. In order to be able to download a show, you will need to create your own free SlideShare account. Tumblr is known as a micro-blogging platform. This means that it's similar to a blog in which authors post content and others can comment, but in Tumblr's case, most of the content is not "original" content by the account's owner, but content such as links and images posted from the rest of the Web or other tumblr accounts. The Commission's account is mainly used to post content from our blog. Twitter is a communication tool that's been around since the fall of 2006. The original concept is to answer the question "what are you doing now?" in 140 characters or less. Users can post their answer to the question and then subscribe to the posts of others. Users can both post and read through the Twitter Web site, desktop clients, IM and SMS. 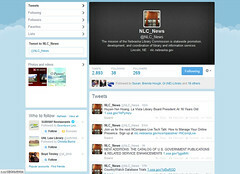 Currenly, the Commission is using Twitter to share information about libraries and librarians. YouTube allows us to upload videos in a social environment. Users can then view, comment on, and subscribe to our videos. Through YouTube's favoriting system, the Commission can point others to videos we think are worthy of their time. 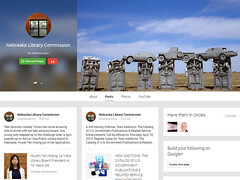 Currently, the Commission is using YouTube to recruit new librarians to the profession and to share staff presentations. For more information, contact Amanda Sweet.